Andy Rose is back in MLS after a three year absence, with a feeling that he has some unfinished business in the league. The new Vancouver Whitecaps midfielder spent four years with Cascadian rivals Seattle Sounders before heading over to UK to spend one and half seasons with English League One side Coventry City and then a season and a half in the Scottish Premiership with Motherwell. A return to MLS was always in his plans, with it reported that his last deal at Motherwell had a release clause for him if a MLS club came in for him. That club was the Whitecaps and as soon as new ‘Caps coach Marc Dos Santos expressed interest in the 28-year-old, his mind was quickly made up. 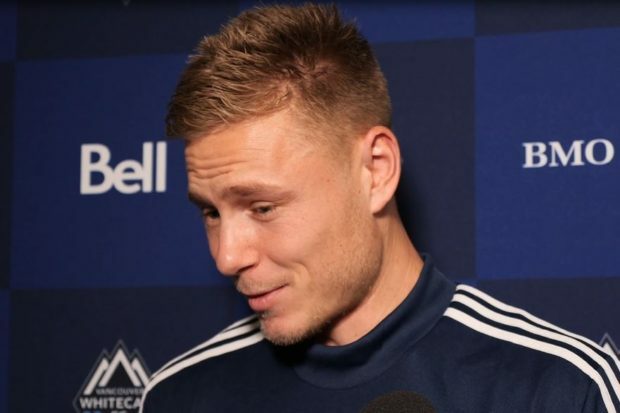 “I’ve been in the UK for three years and loved it over there, had some great experiences,” Rose told reporters at the Whitecaps media day on Monday. “I kind of felt it was a good time to come back to MLS. I feel like I’ve still got so much to prove over here. Rose had called the US home since 2008, first playing his college soccer with UCLA before being drafted by Real Salt Lake in the 2012 Supplemental Draft before eventually being flipped to Seattle. The Aussie born Englishman made 90 MLS appearances for the Sounders in his four seasons with the club, half of them starts, tallying five goals and seven assists before deciding to try his luck back home in the UK. But there was always a hankering to return to North America and now he finds himself on another side of the Cascadian rivalry, and he can’t wait. 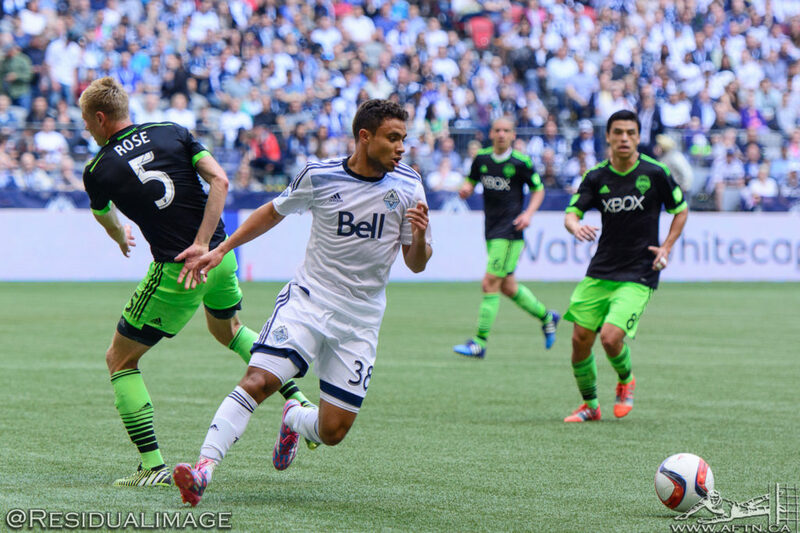 Rose played in eight Cascadia Cup clashes for the Sounders against the Whitecaps, with his best performance coming in Seattle’s 3-2 home win in June 2013, where he grabbed the opening goal and an assist. Vancouver fans will be hoping he’ll repay the favour in different colours this season. After the uncertainty of being an international player coming out of the draft, Rose enjoyed and thrived during his time in Seattle, and a lot of that he puts down to one man – his former coach and mentor, Sigi Schmid. Rose can’t speak enough about what Schmid meant to his own career, and took time to share his thoughts on the MLS managerial legend after his passing on Christmas Day. “[Sigi] meant so much to me,” Rose explained. “He was the coach who saw something in me first, coming out of UCLA. He gave me my opportunity, gave me my debut. I think every player remembers the coach who gave him his start in the game. [I’ve been] filled with sadness the last month or so.